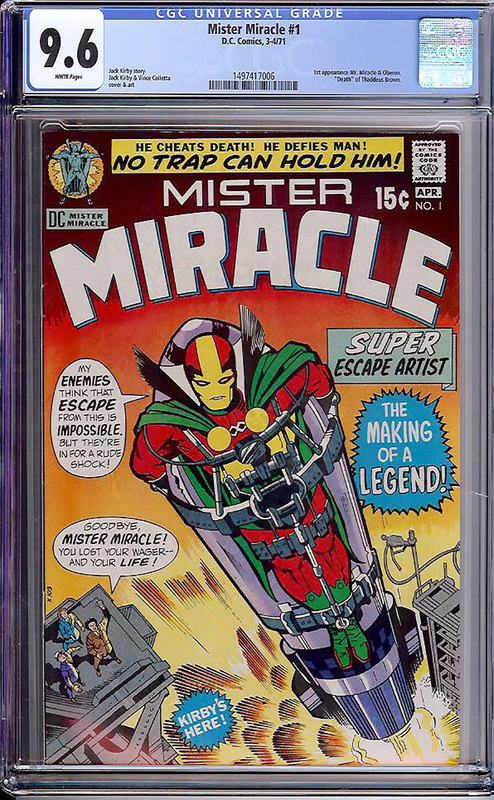 Featuring the origin and first appearance of Mister Miracle by the legendary Jack Kirby. A superb, unread copy, this is the second highest graded one at 9.6. It has ridiculous BLEACH white pages, a PERFECT spine, razor sharp edges and corners and full cover gloss. Very hot book of late.